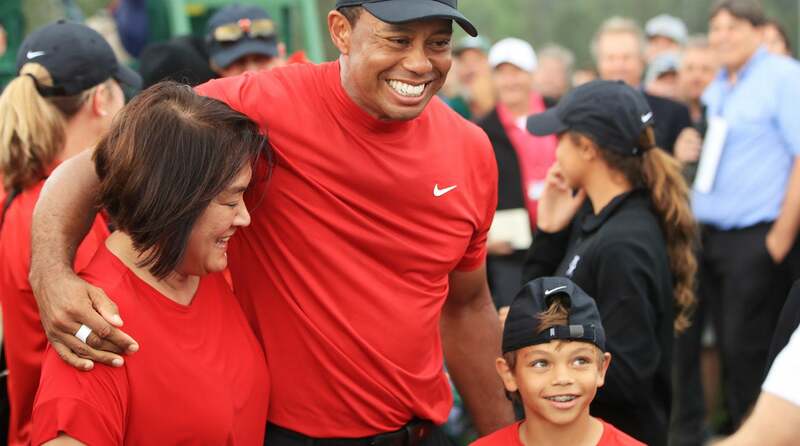 By winning his fifth Masters, his 15th major and 81st career title, Tiger Woods introduced a whole generation (maybe two) to what Tiger Woods really means. The idea of things coming full circle for Woods is, of course, striking, but perhaps it was similarly so for golf fans in their early 20s. Tiger Woods celebrates his 2019 Masters win. When Tiger won his first Masters on April 13, 1997, I had just turned 3 years old. When he went back-to-back in 2001 and 2002, I was watching cartoons and not live golf. I wasn’t exactly oblivious, but the feat at hand was lost on an 8 year old. All I remember is my dad’s anger when my brother and I tried to flip the channel. By 2005, I was 11 years old and to me, golf was the sport my dad fell asleep to. My awakening to the game came too late for Peak Tiger. This was always one of my biggest regrets as a sports fan. My only memories of the Tiger of Old were Tiger being old. All I had were secondhand stories and YouTube videos. The fact that Tiger said his kids called him “The YouTube Golfer” was funny, but very real for me as well. Sunday was the first time we’ve seen vintage Tiger, winning a major, in real time. There might be a little less hair on his head, but boy, it was electric. Throughout the weekend he relentlessly clawed his way into the picture. From his opening-round 70, which looked great until the field rendered it just “good,” he seemed different. With each progressive round, and every shot growing in importance, you could feel the momentum build like it used to — apparently. Woods continued to do exactly what was needed to stay in contention, spinning through Sunday’s opening nine in one-under 35. When he bogeyed 10, it felt like the momentum might stall. Francesco Molinari still held the lead. Then everything changed on the 12th hole. 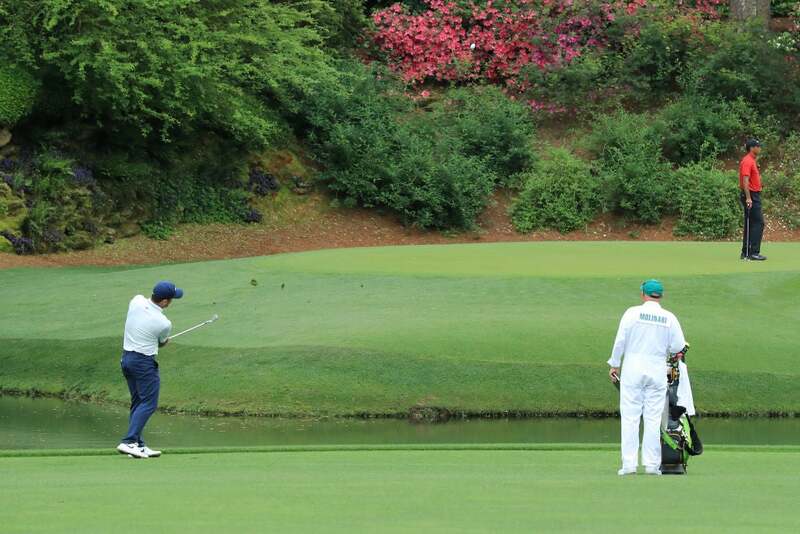 Francesco Molinari plays his third shot on the 12th hole during the final round of the Masters. Molinari rinsed his tee shot, leaving the door open — and the Woods I’d heard so much about took center stage. He made par to tie for the lead and later closed it out. 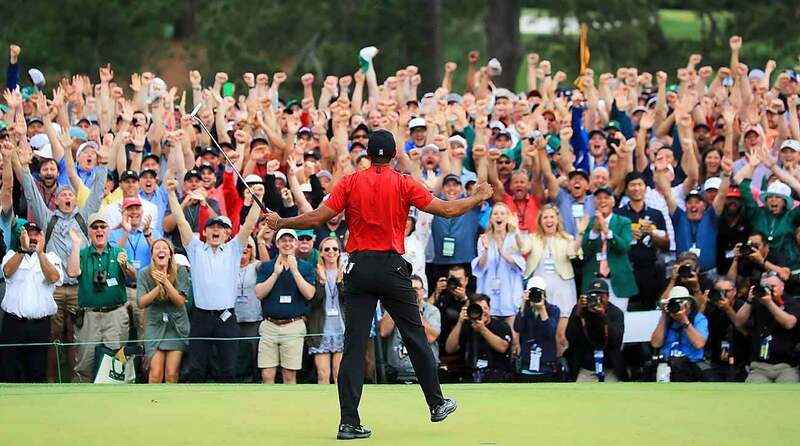 When he celebrated with his family behind the 18th green, his two children enjoyed something they’d never seen before, as did an entire generation of fans around the world. This one wasn’t on YouTube. It was live and in color and could not have been more exhilarating. Now we are already thinking about the next one.